Barbera is a dark-skinned red grape variety found in several Italian wine regions, including its native Piedmont, Emilia-Romagna, Puglia, Campania and even the island regions, Sicily and Sardinia. At the turn of the century, it was the nation’s third most commonly planted red wine grape, after Sangiovese and Montepulciano. Barbera grapes are used both in blended wines and varietals – the latter are becoming increasingly common as Italy continues its move towards varietal labeling. The vine has traveled widely in the past two centuries, ending up in Australia, Argentina and California, most likely following Italian migration patterns. It has this in common with Nebbiolo, although Barbera has adapted much more readily to these new environments than its fussy Piedmontese cousin, and is now responsible for wines of high quality in each of these countries. As with Nebbiolo, there is considerable debate over how Barbera is best treated, with traditionalists arguing in favor of longer maceration and less oak, and modernists championing rounder, more approachable wines softened by time in barrel. 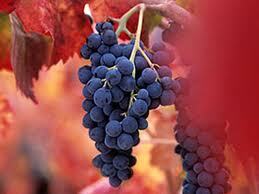 Being naturally high in acidity, Barbera can be grown in warmer climates without producing overblown, flat wines. Even warmer sites in Sonoma Valley and the Sierra Foothills of California have produced balanced Barbera-based wines. This acidity complements the cherry flavors found in typical Barbera, and has contributed to the (largely justified) stereotype of Italian red wines as being ripe, bright and tangy rather than voluptuous and earthy. When young, most Barbera wines have a bright red cherry character, distinguished from Nebbiolo (which often overshadows Barbera) by softer tannins and a certain roundness. When matured in barrel and allowed to age in bottle for a few years, this turns to a denser, sour-cherry note. A warm Merlot-like plumminess is also commonly detectable, although the variety is more closely related to Mourvedre than Merlot. When overheated, a Barbera vine will produce comparatively flat, dull wines with notes of baked prunes and raisins, while its trademark cherry flavors turn towards kirsch. Barbera is produced in 130 California wineries, including Regale Winery & Vineyards in Los Gatos, D’Art Wines in Lodi and Nevada City Winery in Nevada City.